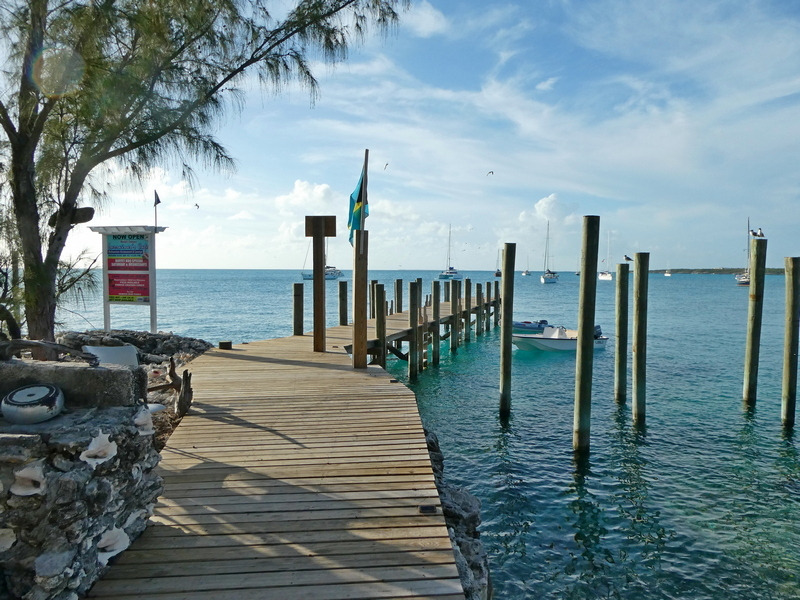 Having escaped George Town we headed north up the Exuma chain stopping at some usual haunts. Our first night we anchored at Rudder Cay (which along with neighboring Musha Cay) is the location of David Copperfield’s very exclusive resort. 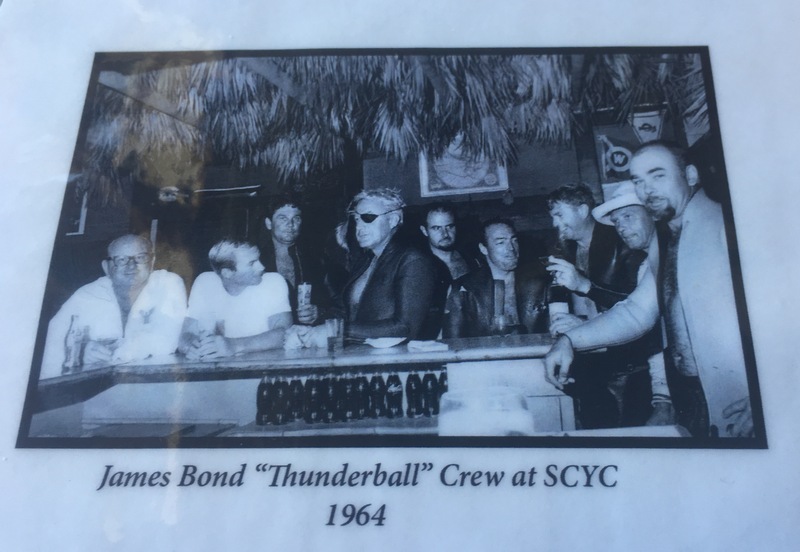 For lunch the next day we stopped at Ty’s Sunset Bar & Grill on Little Farmers Cay located next to their very cute airport terminal. We anchored a little further along at Jack’s Bay for the night & then in the morning continued on to Black Point. Black Point is a favorite stop for laundry, restaurants & most importantly, Lorraine’s Mom’s coconut bread. Lori has previously written & shown of photo of Mom in her home kitchen baking up this wonderful bread – the best in all the Bahamas! Black Point is booming as most of the 12+ daily tour boats from Sandals Resort stop here for lunch on their way from Staniel Cay & other touristy stops. Another restaurant has opened up & most restaurants have built their own docks just for these tour boats. 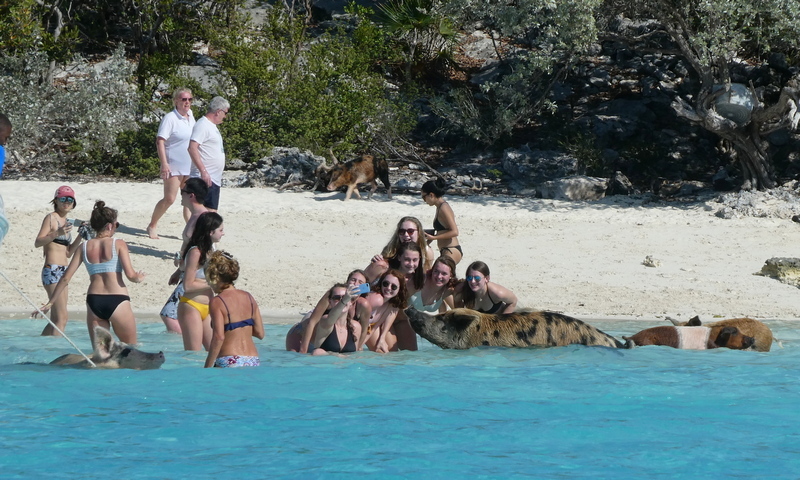 Staniel Cay is also a must-stop every trip. Home of the famous underwater grotto featured in the Thunderball movie. 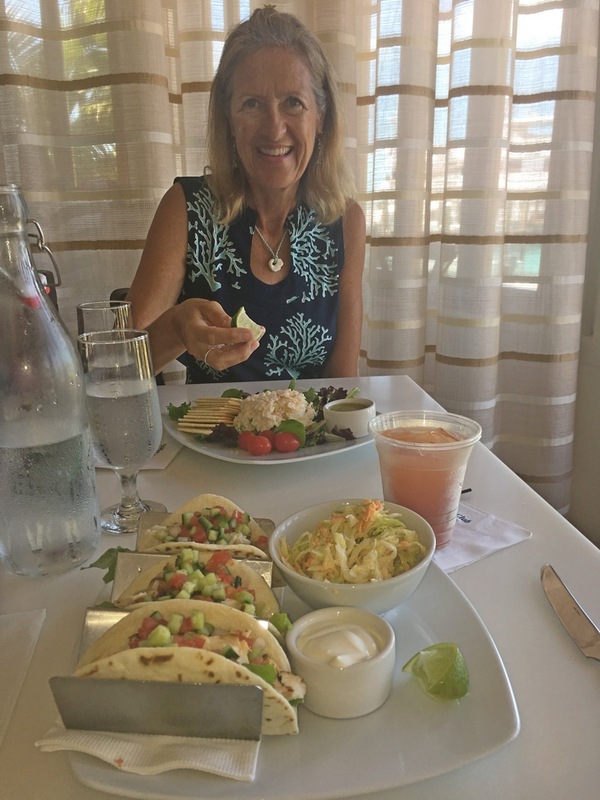 Their restaurant at the Staniel Cay Yacht Club is always a treat for us as well. 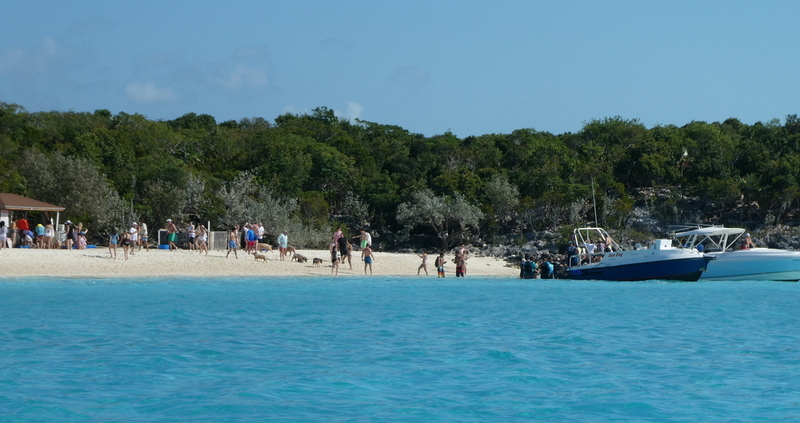 The tour boats arrive in droves to the nearby “Pig Beach” on Big Major Cay. When we first visited in 2011, there was perhaps one tour boat & a few cruiser dinghies which would stop by to see & feed the pigs. 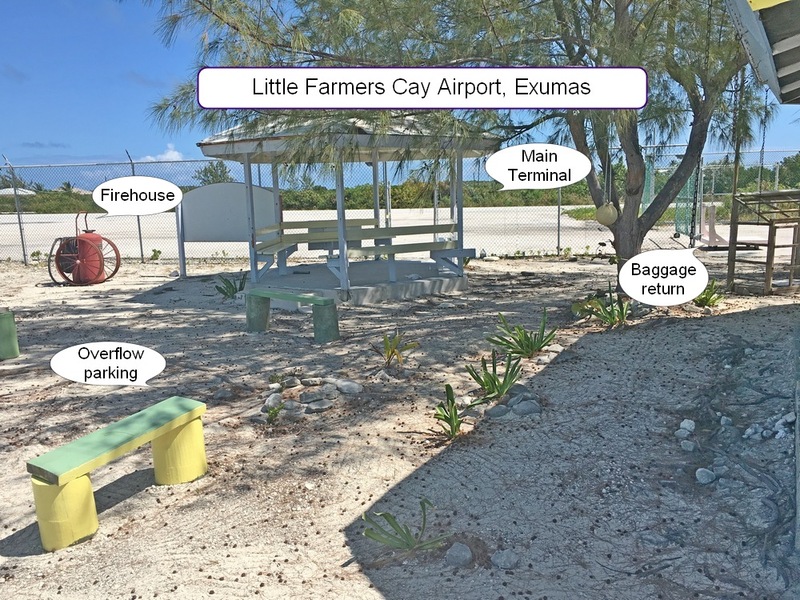 Rather than continuing further north up the Exumas, we will be next crossing over to Eleuthera, as we haven’t been in several years.